A fragrant, dry Muscat à Petits Grains that isn't typically made in the south of France as a monovarietal wine, but is done quite brilliantly at the Deneufbourg winery. Exotic, with lychee aromas, citrus, and pineapple. From clay- and limestone-based soils, which add a component of freshness that makes this an easy wine to sip alone. Do you have parties? Or make sangria at home? Do you bake fish for dinner, or are you looking for a new house wine for that spot you call "chez moi"? If so, we're in the same "bateau". Tropical fruit aromas like peach and passion fruit are the hallmarks of this fresh white from southern France. It is a pleasing bottle to share with friends, gallery-goers, or anyone who visits before dinnertime. White, meaty fish like halibut require expressive but delicate pairings that will not overwhelm the fish. This is the perfect wine for such occasions, a fragrant, dry Muscat à Petits Grains that isn't typically made in the south of France as a monovarietal wine, but is done quite brilliantly at the Deneufbourg winery. 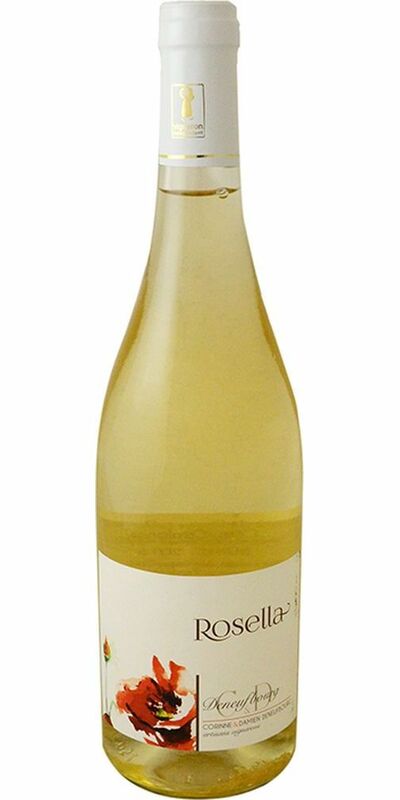 This wine is exotic, with lychee aromas, citrus, and pineapple. Notify me when "Rosella" Blanc Deneufbourg - 2016 is back in stock.